UKPSC Lecturer Recruitment 2018: Uttarakhand Public Service Commission has rolled out a new jobs notification regarding 917 vacancies of Lecturer. The candidates are required a post graduation degree in their relevant subjects to become eligible for the Teaching Jobs. In the below given link, you can check the UKPSC Pravakta Vacancy 2018 Notification. Read out our article to know about the salary, eligibility, selection procedure and other details. 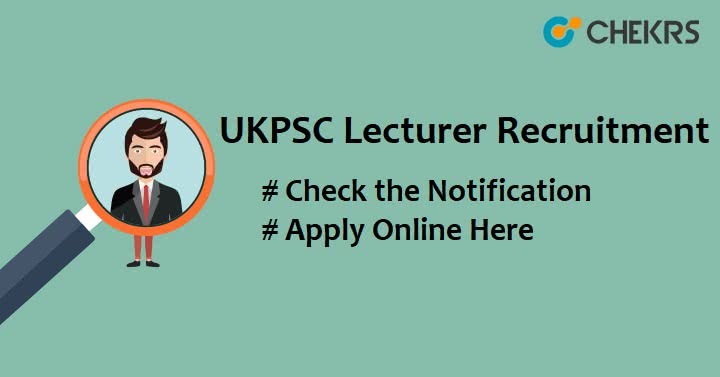 Follow the given guidelines to apply for the UKPSC Lecturer Vacancy but before that read the notification carefully and confirm your eligibility. Visit the official website of UKPSC. Then, go to the One Time Registration Option. Then, login yourself with the registration details. Now, Fill up the UK Lecturer Application Form. Remarks: Do comment us in case of any queries regarding the UKPSC Lecturer Recruitment 2018. Just drop your doubts in the comment box.